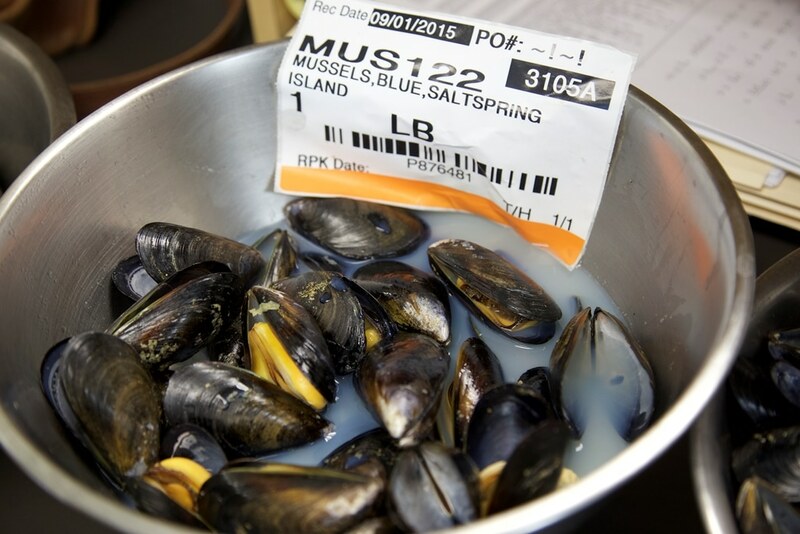 A hybrid of Mediterranean mussel crossed with an Atlantic Blue, Saltspring Island Mussels are the biggest, sweetest mussels you’ll find anywhere. Saltspring Island Mussels are raised in the Salish Sea, which is unique in its abundance of nutrients. During peak times, this region explodes with phytoplankton and zoo-plankton, yielding a naturally occurring feed for the mussels. 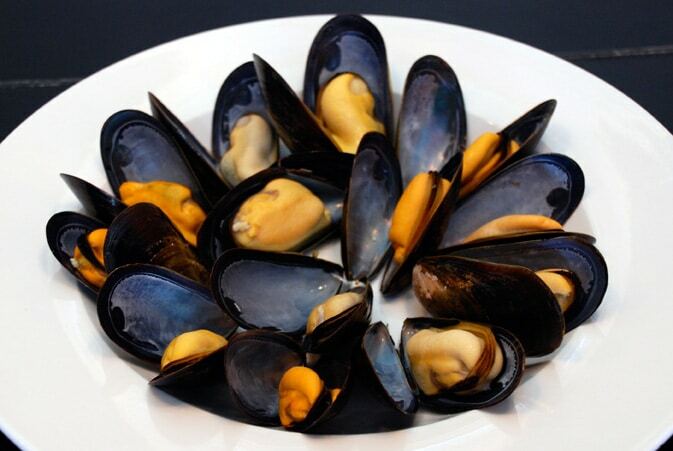 This feed gives the mussels their distinctly sweet taste and plump meat fill. After years of breeding the best varieties, this farm has cultivated a mussel that is incredibly plump, juicy and sweet with a taste of the sea. Cook these beauties up with white wine or beer and serve it with a hearty bread! 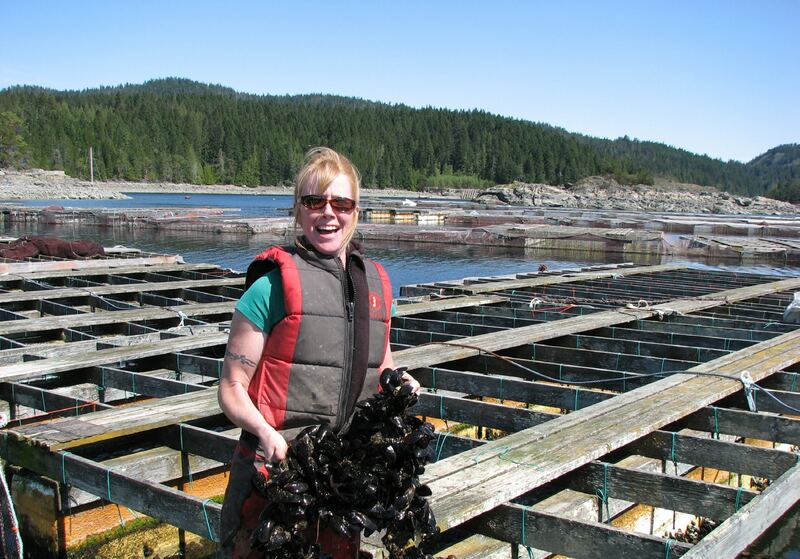 Let customers know that these Saltspring Island Mussels are grown in deep water on ropes suspended from rafts. To raise their mussels, this farm uses only biodegradable materials. Cotton and coconut fibers are used in place of plastic for the netting and vegetable oil replaces petroleum in hydraulic engines. Make sure you ice your seafood case well and add a few greens here and there before placing mussels on top. This will create and a beautiful presentation and makes the product pop.